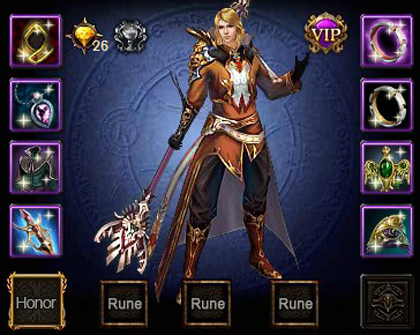 Wartune Official Website - 2015 Epic Strategy MMORPG, Play for FREE! Unlocked at level 35, Soul Crystals may be consumed to upgrade the level of your Soul Engraving. 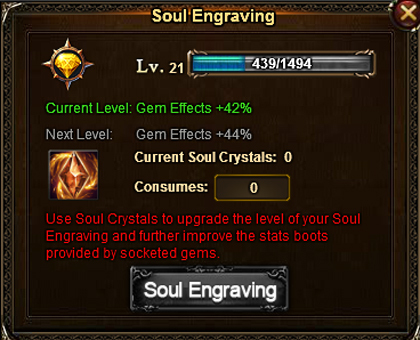 Soul Engravings improve stat boosts provided by socketed gems.